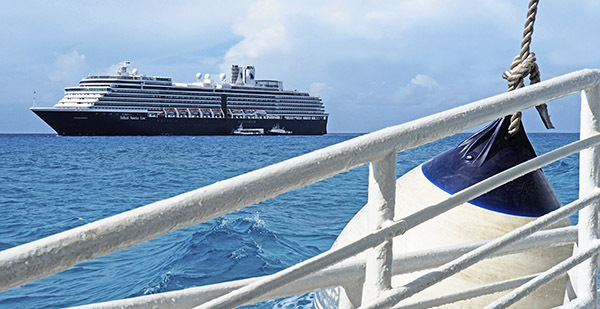 refurbishings and renovations of one of their popular mid-size ships. Fries as on the Eurodam. Love those fries, HAL. 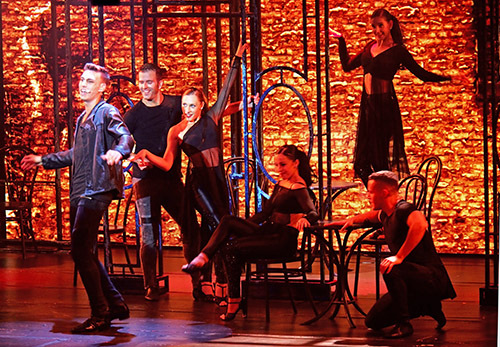 transition to the Baltics for five cruises during the coming summer. 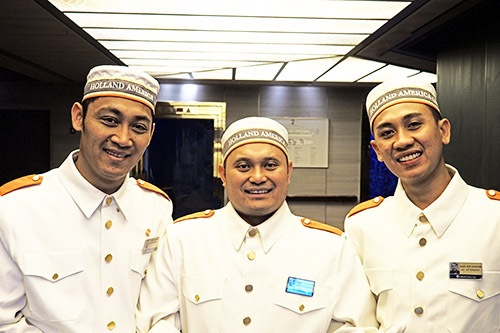 Crew members of the Holland America Lines Zuiderdam with new uniforms and hats worn as greeters while welcoming new passengers aboard on first day of a cruise. Gallery Bar on HAL Zuiderdam cruise ship. 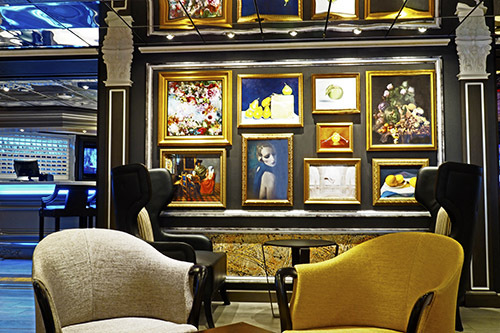 eclectic art collection of approximately 121 pieces in the bar’s comfy lounge. HAL Zuiderdam Mainstage singer and dancers performing. Lincoln Center Stage, venues that will soon be extended to larger ships in the HAL fleet. 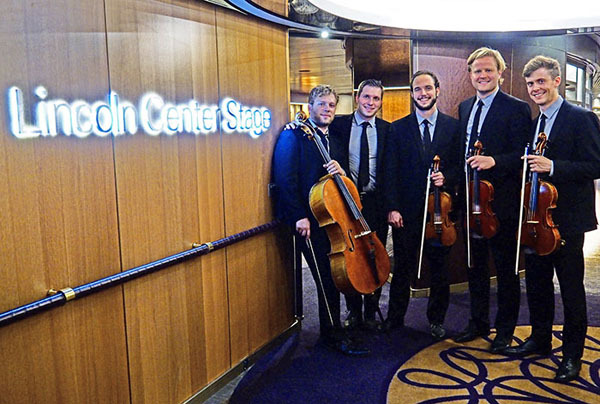 Lincoln Center Stage classical musicians on Holland America Line’s Zuiderdam cruise ship. partnership with the vaunted New York institution. 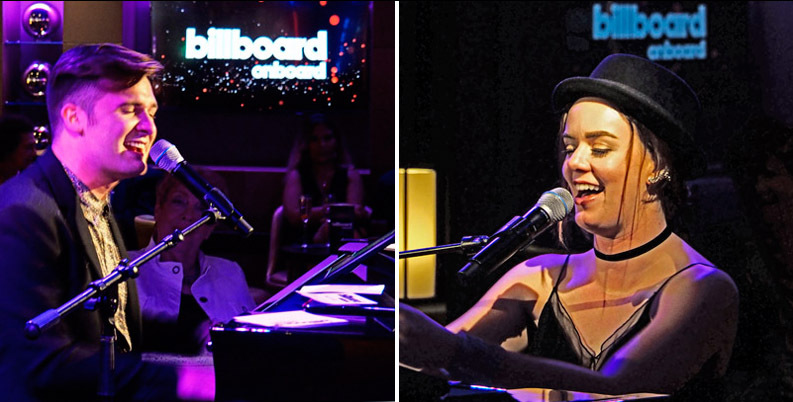 Billboard Abroad singing pianists Andy Burns and Emily Pirtle on HAL Zuiderdan cruise ship. requested by passengers and singing along is often encouraged. 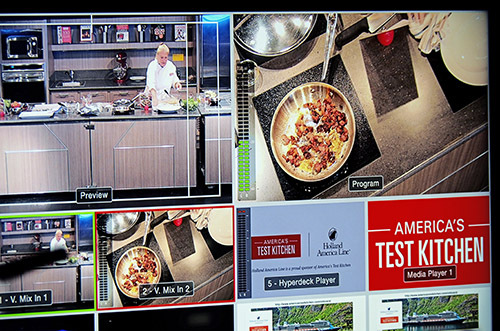 Control room screen to monitor America’s Test Kitchen demos on HAL Zuiderdam cruise ship. 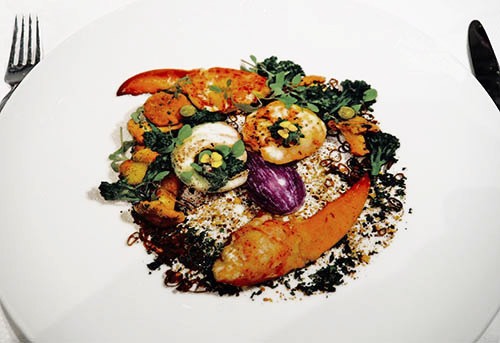 recipes are designed to be foolproof for the home cook. 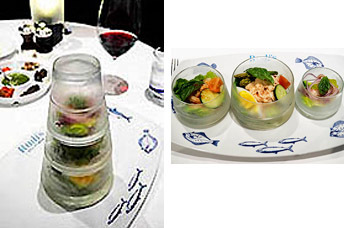 stacked containers with octopus, shrimp cocktail, and crabmeat – were the stars of the show. O Shop and O’s Breathe on HAL Zuiderdam cruise ship. which many ardent cruisers would likely agree.